It would be wise for Nigeria’s elite to seriously heed the reawakened cries of its marginalized underbelly. Ethnic agitations will not go away. 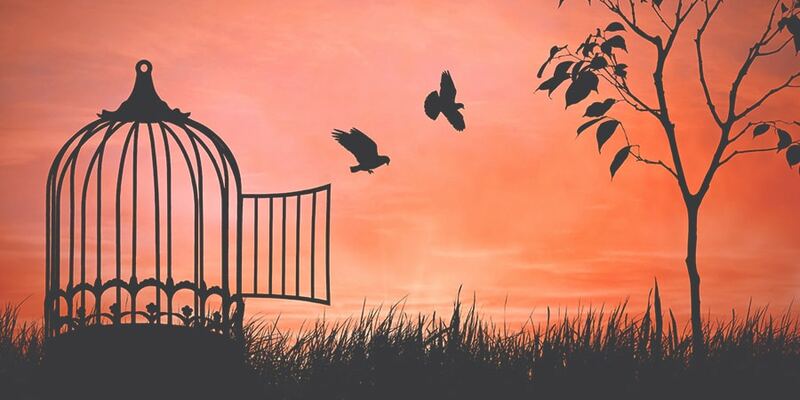 Give to each people their own- the right to be masters of themselves and directors of their destiny. The Indigenous People of Biafra Movement has captured the attention of debate in Nigeria and is beginning to drive more global attention to separatist agitations in Nigeria. The Movement wants an Independent Homeland for the Igbo ethnic group outside of the Nigerian country structure. The case for this echoes back to the mid 1960’s when between 30-60K Igbos (30K alone in September 1966) were killed in Northern Nigeria. Multiple thousands of Northerners were also killed in the Eastern region although this is less often recounted. Note: There are sensitive images in the rest of this article. Reader discretion advised. The pogroms I witnessed in Makurdi, Nigeria (late Sept. 1966) were foreshadowed by months of intensive anti-Ibo and anti-Eastern conversations among Tiv, Idoma, Hausa and other Northerners resident in Makurdi, and, fitting a pattern replicated in city after city, the massacres were led by the Nigerian army. Before, during and after the slaughter, Col. Gowon could be heard over the radio issuing ‘guarantees of safety’ to all Easterners, all citizens of Nigeria, but the intent of the soldiers, the only power that counts in Nigeria now or then, was painfully clear. After counting the disemboweled bodies along the Makurdi road I was escorted back to the city by soldiers who apologised for the stench and explained politely that they were doing me and the world a great favor by eliminating Ibos. These killings in 1966 and the eventual civil war that broke out July 6, 1967 result from a long history in the Nigeria area of powerful groups merging independent ethnic principalities into imperial dominions. The earliest recorded date being 700AD with the Kanembu starting their conquest of the Sao in the Chad basin area. The Ubinis would expand their empire to include independent ethnicities in the mid 1400’s and in the 1600’s the Yoruba state of Oyo would rise into imperial fervour and dominate other Yoruba principalities. From 1804 the Fulani rose to takeover independent Hausa states and came into conflict with the Oyo empire as they continued their southward expansion. The imperial explorations of the British in Africa would eventually merge all these contesting dominions into Nigeria- a vassal state of British and western commercial interests. Suffice to note that this vassal state would now encompass more mature political formations in the North, West and Mid-West of Nigeria as well as multiple independent and often small ethnic settlements in its middle belt and southeast. 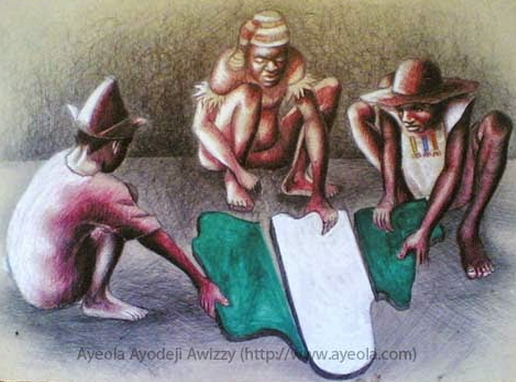 As activists pushed for Nigerian independence, the West’s AG (a Western region political movement led by the Yorubas) in the London constitutional conference of 1954 asked for the right of secession to be enshrined in the Nigerian constitution in order to allow for any part of Nigeria leave should they choose to do so. This was opposed vehemently by the East’s NCNC (an Eastern region political movement led by the Igbos) and later supported by the North’s NPC (a Northern region political movement led by the Fulani). The NCNC wanted a Unitary Nigerian state. 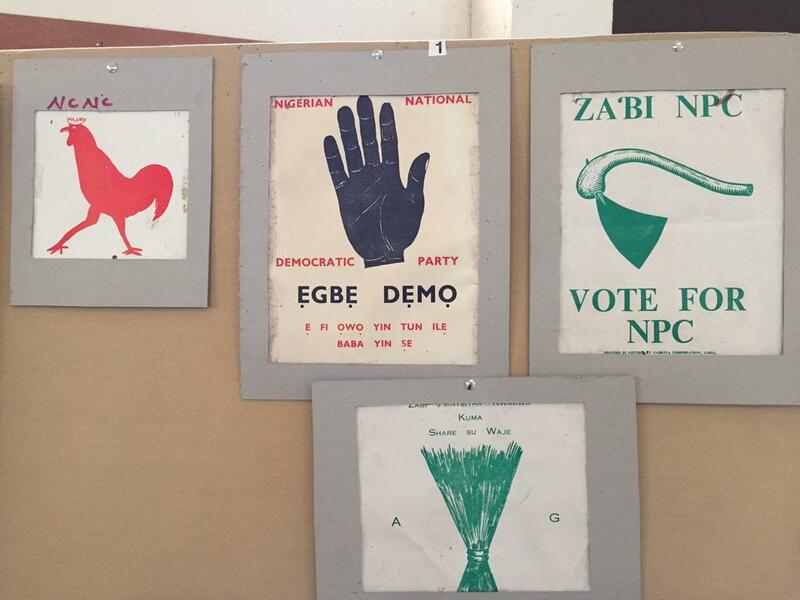 Interestingly enough only a year earlier, the Fulani-led NPC in 1953 had tabled an 8 point program including a demand for secession for the Northern region after they had initially opposed the granting of independence in 1956 until when practicable. What changed? “The entire property in and control of all mineral oils, in, under, or upon any lands, in Nigeria, and of all rivers, streams, and watercourses throughout Nigeria, is and shall be vested in, the Crown. Although initially each region had complete rights over their resources, they now had to yield it to the British crown. In 1956 as it was clear Nigeria would soon be independent and after oil flowed from Oloibiri, it was mandated that all resource proceeds should enter a ‘distributed pools’ account and shared as follows- 50% region of origin, 20% central government and 30% to other regions (Uche, “Oil, British Interests and the Nigerian Civil War”). This is what changed. Regions could now benefit from the labors of others. In 1956, the Western region was further split into two with the Mid-West region emerging as a result of its oil prospects. This was classic Roman divide and rule strategy which the West had employed to great success in their partition of Africa from 1881-1914. Eleven years later, the Military ruler of Nigeria- Yakubu Gowon would employ the same strategy and split the Nigerian regions into 12 states. This sparked the Nigerian Civil War. As the Nigerian state came to its independence, it was wise to choose a federation. However the basis of its federation was unjust from the very start. The federating units would be based on powerful groups- the Fulani of the North, the Yoruba of the West and the Igbo of the East. The federation should instead have been based on ethnic nations within its borders. This would have counterbalanced the 3 main ethnic groups and helped stabilize the young country by allowing equal representation for all ethnicities in the country’s power play. India’s structure should have served as cue. From the very beginning ethnic minorities started agitating for political autonomy and were often brutally crushed. Take the Tiv self-determination agitation of 1964 during which possibly thousands of Tivs were killed by the Nigerian army and the issues they raised for self-determination never addressed. Eventually, the 3 main ethnic groups of the federating regions would contest for federal power which was significant given the benefits of patronage arising from the ‘distributable pool’ of country resources. This bitter rivalry would lead to a coup and a counter coup and eventually the Nigerian civil war which though lasting less than 3 years killed more than 1million civilians with up to 5million displaced. The lesson here which Nigerians would do well to heed is that if ethnic groups do not seek to dominate others and allowed for each one ethnic group to retain its political and economic independence, all the wars and needless killings within Nigeria and in fact most of Africa would be avoided. As IPOB extends its agitations, it has generated sympathy from the uncommitted by harping on the injustices perpetuated by the Nigerian state. Of limited economic, social and political opportunity for the Igbos within the Nigerian polity. Of the need for the Igbos to be given the power to be masters of their destiny. These injustices apply not to the Igbos alone but also to other ethnic groups and the Nigerian poor whose political, economic and social rights have been repeatedly trampled by the Nigerian state’s exploitative persona as it gobbles up anything in the way of it generating the economic returns required of it by those who established it in the first place. No one wants to be enslaved! Against Nigeria’s rich historic context, it would be wise for Nigeria’s elite to seriously heed the reawakened cries of its marginalized underbelly. Since 700AD, force has been used to counter these ethnic agitations only to spew more violence. The Hausas threw off Kanem’s yoke in the 1300’s. The Fulani would in turn throw off the Hausa yoke in the 1800’s and eventually become their masters. The Egba threw off the Oyo yoke in late 1700’s and would then seek to dominate other Yoruba around them. Nigeria achieved nominal independence from the British in 1960 only to then dominate its first nations. The Tiv agitated in 1964, the Igbos in 1967. Ethnic militias sprung up among the Yorubas and Ijaw in the 1990’s. The Plateau has been gripped in ethnic violence since the early 2000’s. Boko Haram came into power in the Kanem region in the late 2000’s as a direct response to heavy-handedness by the Nigerian state. 50 years later, the Ibos have reawakened the Biafra agitation. We have come full circle and these agitations would not go away until we seriously address them in the spirit of justice and give to each people their own- the right to be masters of themselves and directors of their destiny. After independence in 2011, there were 10 south sudanese states designed for administrative convenience and south sudanese sang one national anthem and there were no divisions. Shortly after independence, we began to realise there were tribal affiliations, Nuer, Dinka etc. No sooner than they got free from Sudan, civil war began and they were at each other’s throat claiming tribalism and marginalisation. In 2015, they created 28 states out of 10 to ensure views are accommodated. In 2017, that was expanded to 32 states. South Sudan has 12million people. Oh and those people have seen the value of their currency drop from SSP3:USD1 to SSP125:USD1 in the space of less than 6years even though on a per capita basis South Sudan is oil rich. Is it that the oil is not enough to go round? No some politicians who monopolized access and other seeking access to that wealth have created the illusion of marginalisation. South Sudanese fought as one for 2 decades so what happened in 6 years that they now view each other as enemies. To the ordinary sudanese who eat grass and live in refugee camps what is the difference between Nuer, dinka etc It is only because we listened to dodgy politicians. By now it is clear, South Sudan sounds familiar to Southern Nigeria with the oil and the Arab north like the fulani-hausa north. We were united before independence but shortly after we are now referring to each other by tribal affiliations. The igbos are the most republican and most widely travelled tribe in Nigeria — and stand to lose the most economically. Now the average Igbo man who lives in Lagos and has made a comfortable life now faces the prospect of being forced to move around because someone wants to be king of nowhere. Truth is like in South Sudan, an independent landlocked Biafra is no major evolutionary leap from the current state system. And in case you do not know Igbos are republican and made of several sub-tribes who will not intermarry and even allow a priest from another village be their pastor as the current Mbaise diocese has made us aware. Someone is selling a hope that cannot be actualised. As usual Bayo from my observations, you are always seduced by positions driven more by emotion and less by concrete evaluation of the benefits and pitfalls of a system. I suggest if you adopt this approach when writing, seek to come up with a counter position. Criticise yourself and you will find that your conclusions are do not fit into popular views pushed by our dodgy political class. Please try this approach when you want to write examine counter arguments very important in particular as you aspire to political leadership. It is a purely random process that determines who is Hausa, Igbo or Yoruba etc We do not come with any differences due to our ethnicity save a language we learned. An Igbo baby found abandoned and brought up by an Yoruba mother is still Igbo but might never know of his origin given that he has been brought up by a Yoruba parent. The constant tugging at tribal affiliations is why in my view Africa has been buffeted by ethnic strife even though it is glaringly obvious that we are all black. I love engaging with you always. However on this issue there is no debate- you essentially repeat the premise of my argument and that is that selfishness or say self interest drives ethnic based agitations. We are both on opposite ends of the same rope. You say that even if each ethnic groups were independent, that selfish interests will still drive divisions. I say that if you made the ethnic nations autonomous you will eliminate cause celebre for divisions within multi-ethnic countries. First: That black lives matter, does not mean that all lives do not matter; Ethnic self determination/autonomy does not mean disintegration of countries. It means the choice of ethnic nations to choose their direction and work hard to get there. Second: People are first the identity they grow in. So yes a child may be born Igbo but having grown up as Yoruba is for all purposes Yoruba. That he identifies as Yoruba would drive him to work more assiduously towards the common good of the nation he identifies with. In the Korean Finance Crisis of ’97, Koreans sold their gold to rescue their nation from debt. Ethnic identities drive the highest form of nationhood and patriotism. Nigeria for instance was richer when it was region based and regions led by a major ethnicity sought to outperform the other. As it is today Nigeria is not a nation and you cannot draw out patriotism through force from people towards what they do not identify with. Be realistic man, stop repeating the mistakes of our fathers by wishing away what we know is true and trying to change our inevitable course. Nigeria is a country composed of ethnic nations- this is a fact we cannot wish away and it will be in our interest to model successful countries like Canada that have been open and honest in dealing with this diversity. Third: That I argue on the side of ethic self determination within a greater African economic union formed by Africans and not living off the vestiges of European 1800’s imperialism does not mean I do not consider ways in which my argument may be attacked my those who see differently. This is the point of the article- to stimulate debate and if you had come with counter points rather than merely re-hashing the central premise of my argument, then perhaps we can have a discussion. Instead you have attempted to cast my position as being emotionally driven. I would enjoin you to swallow the same pill you recommend- be sure to detail the central premise of an article’s argument and proffer alternatives. Only then would a debate be worthy. Lets stay engaged. I love it! Your critique of Bayo’s Biafra: Case for restructuring Nigeria is wishy-washy and pedestrian. It is the zenith of false equivalency comparaing Biafra and South Sudan. Why do folks like you deploy South Sudan example as a cudgel against Biafra ressurection? Why are criminally silent on other peaceful and successful political separations? I tire for you o!? In the end people give examples only for the agenda they seek to push.